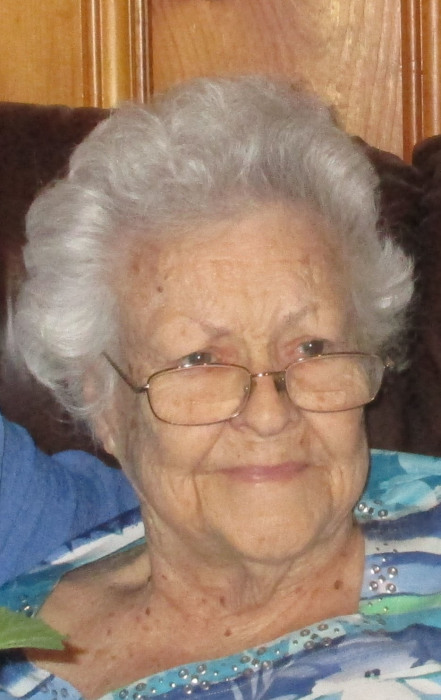 Lillian Amelia Cate, 84, of Albany, GA, died September 10, 2018 at Columbus Specialty Hospital. Funeral services will be held Thursday at 11:00 AM at the Crown Hill Cemetery Mausoleum. Minister James Hall will officiate. Entombment will follow. A native of Blakely, Mrs. Cate moved to Albany, GA early in life. She was a member of The Church of Jesus Christ of Latter Day Saints in Albany, GA, she was a school crossing guard for the Albany City Police Department for over forty years, was a homemaker and avid gardener. She was preceded in death by her husband of sixty six years Harry Cate in 2015 as well as her father Emmett Walter Peterson and mother Annie Clair Peterson as well as her brother James H. Peterson. Survivors include her children, Karen (Cecil “Tony”) Fordham of Albany, GA and Ray Cate of Baton Rouge, LA, a sister, Margaret “Peggy” Slaughter of Lee County, GA, a grandson, Chris (Joanie) Fordham of Albany, GA, her brothers and sister-in-law,Tommy Cates and Lovell Cumbie both of Tampa Fl., Bill and Melvin Cates Both of Chattanooga, Tn.,Great grandchildren Krystopher and Anthony Kehoe, a number of nieces and nephews and her dear companion, her cat, Thumper. The family will receive friends from 7:00 PM until 9:00 PM Wednesday at Mathews Funeral Home and will receive friends one hour before the service at the Crown Hill Cemetery Chapel.